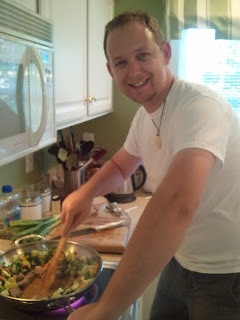 Tonight we used meats and veggies from our 2 CSA farms to make a stir fry. 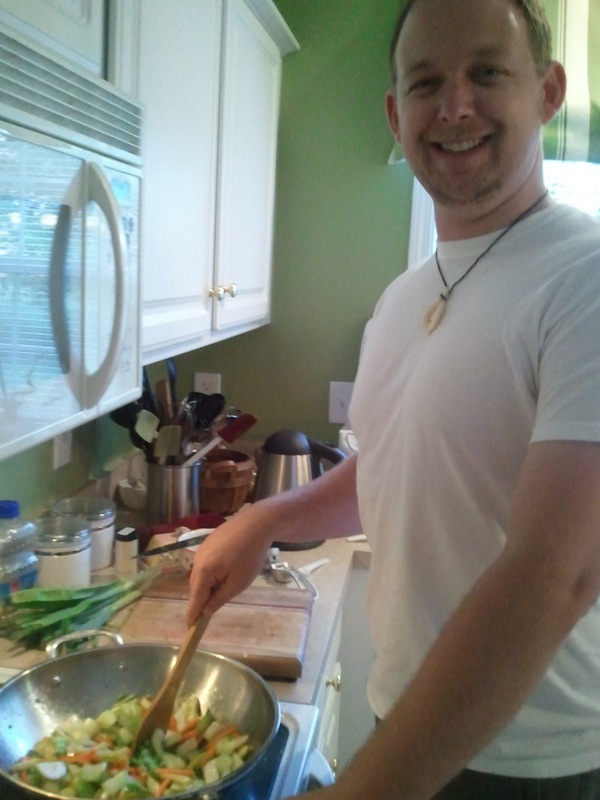 I prepared all the veggies and the stir fry sauce and Cayne did the cooking. It tasted so good! The Peaceful Pastures pork was super flavorful and the fresh veggies were superb, as usual. Our stir fry included squash, carrots, garlic scapes, spring onions, bok choy, garlic, and some ground ginger. I made up the stir fry sauce based on a recipe I found online and it was delicious. It didn't look like the recipe made very much but it was so flavorful that it ended up being the perfect amount. After cooking the meat and then the veggies, Cayne pushed everything to the side of the wok to heat and thicken the sauce before stirring it all together. Then we served it over some rice.